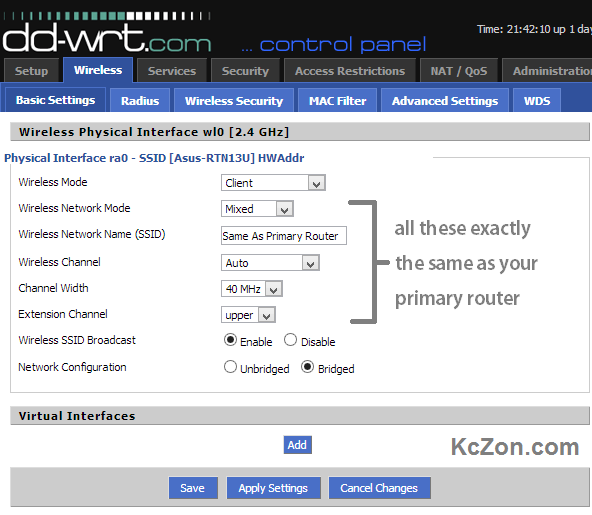 DD-WRT firmware supports Wireless Client Mode which enable your router into fully capableWireless Adapter. Client mode is just wireless connection between two routers. You can connect your router to the another Wireless Network or to the Hotspot. You can also share your android phone data connection to your home network on multiple devices which are not capable to connect via wi-fi. Normally I used Client Mode on DD-WRT when my ISP shutdown for some days. I could connect my android device to my home network and share 3G connection to the multiple PC which are connected to the router via LAN port. 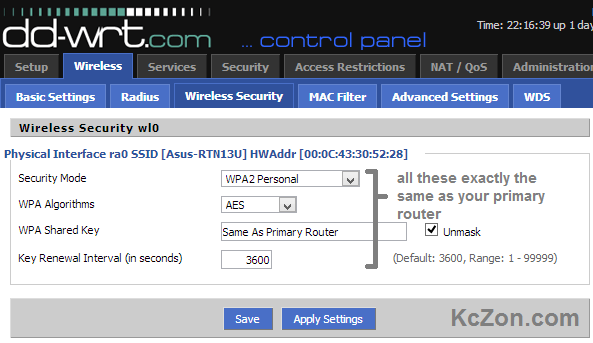 Here I’m going to show you today, how to set up Client Mode on DD-WRT Router in simple steps!, It is a quite simple method that by change Wireless Mode of your DD-WRT Router. Here, Primary Router is Source Router or Main Router. Change Wireless Mode to the Client Mode. 3. Now navigate to the Wireless Security on the same Wireless tab. Set the Local IP Address to 192.168.2.1 (Your Client subnet must differ from the Primary Router subnet). 6. Now navigate to the Advanced Routing on the same Setup tab. Change Operating Mode to the Gateway Mode instead of Router Mode. 7. Apply all Settings and Reboot the Router. Now you can able to use DD-WRT Router as Wireless Adapter. Pls also tell wht else i hav to in order to treat the router as an adapter. I applied all settings as u said..but still need to knw how to configure in PC running win7. I need to share my android phones 3g internet to pc while the router is connected to pc thru its cable.